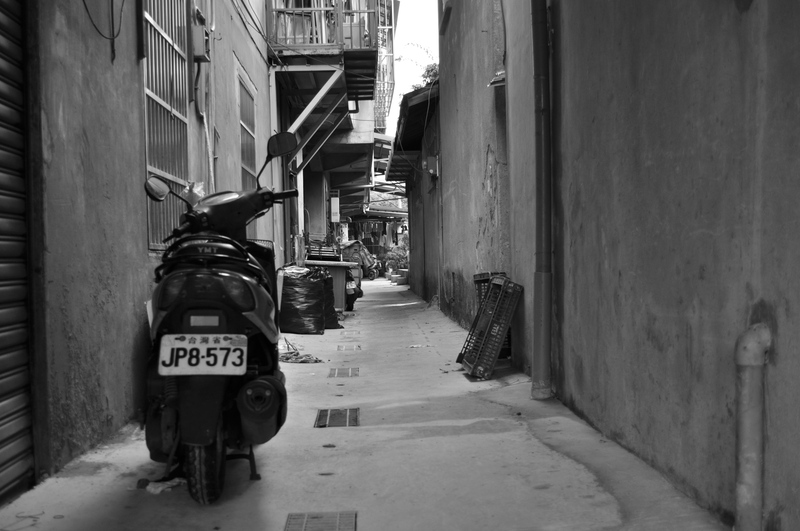 The following is a gallery of alleys in Taiwan. 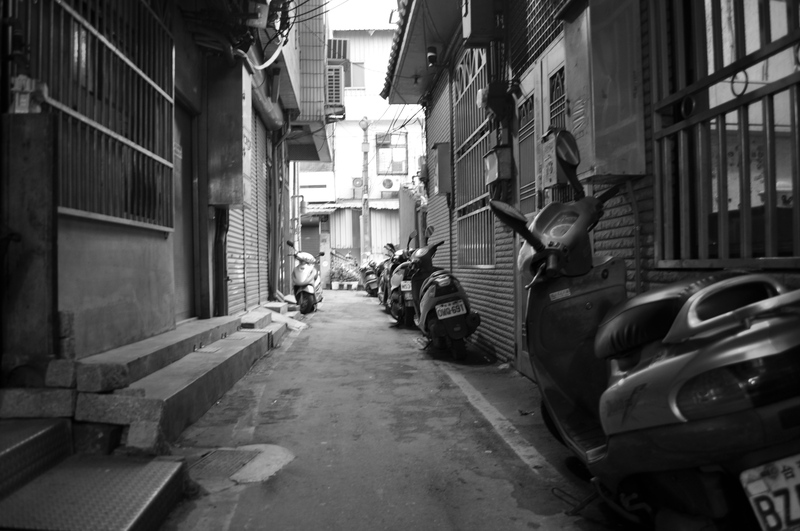 While Europe is famous for its cobblestone alleys and ancient architecture, Asia, and Taiwan specifically has a wealth of back alleys off main streets. 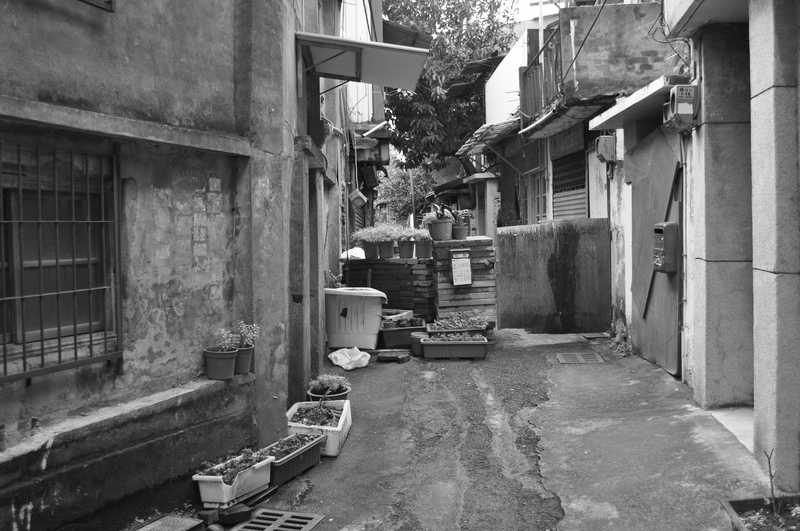 Often down these alleys are housing and food stands. 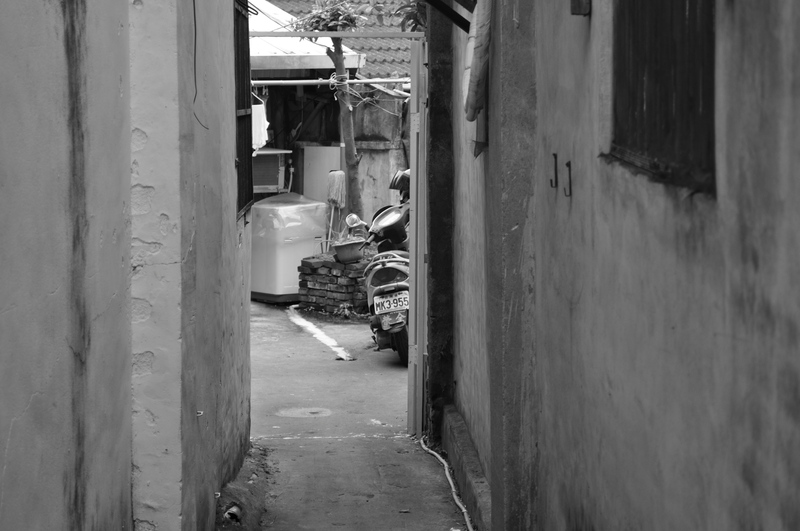 They represent a quick reprieve from the busy streets and some interesting exploration in their maze like structure. 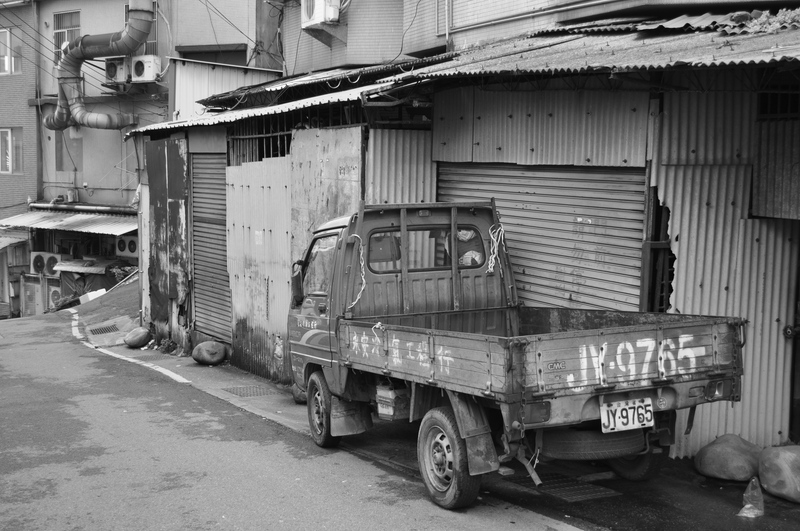 This entry was posted in Taiwan and tagged Alleys, Asia, Black and White, Photography, Taiwan, 台灣, 攝影. Bookmark the permalink. 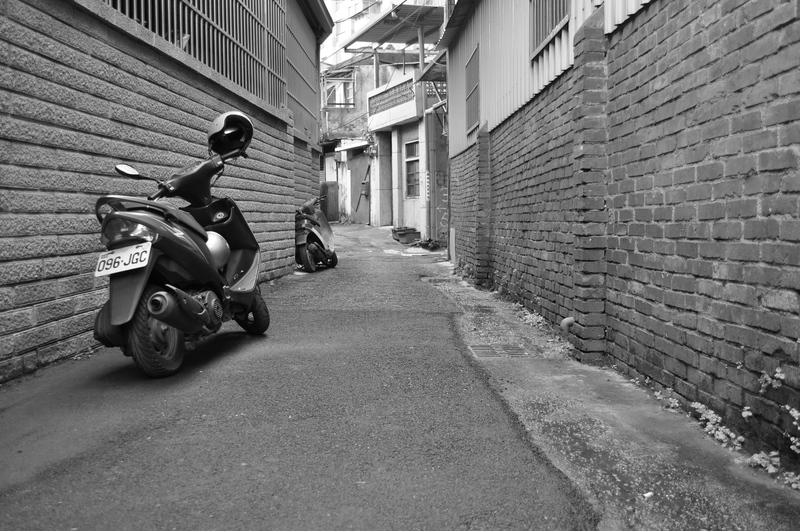 The urban landscape is so geometric, yet varied in your images. All, thanks for stopping by and for the many kind words! 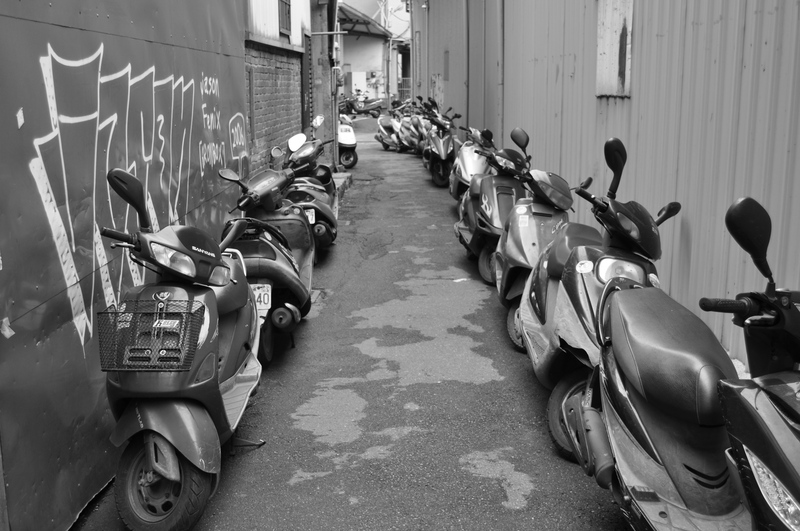 great set, love the mopeds! I so love pictures of cities in black and white. Great series. 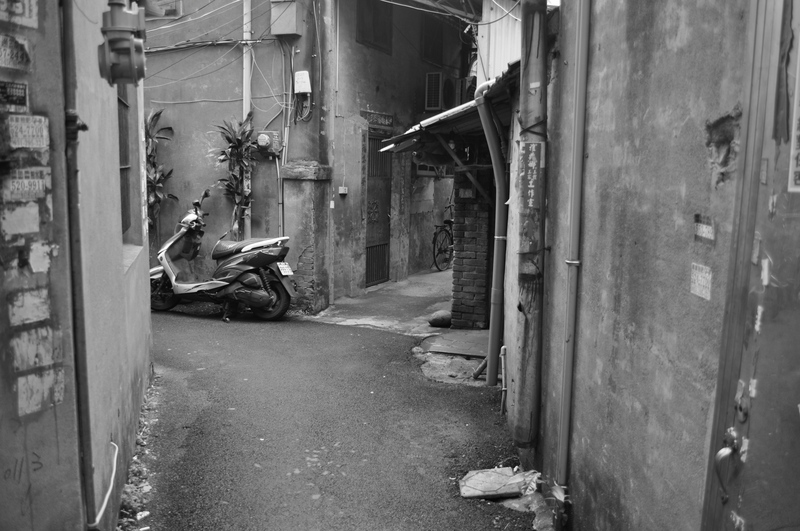 There are quite a few photographic gems hidden in some alleys in Taiwan. 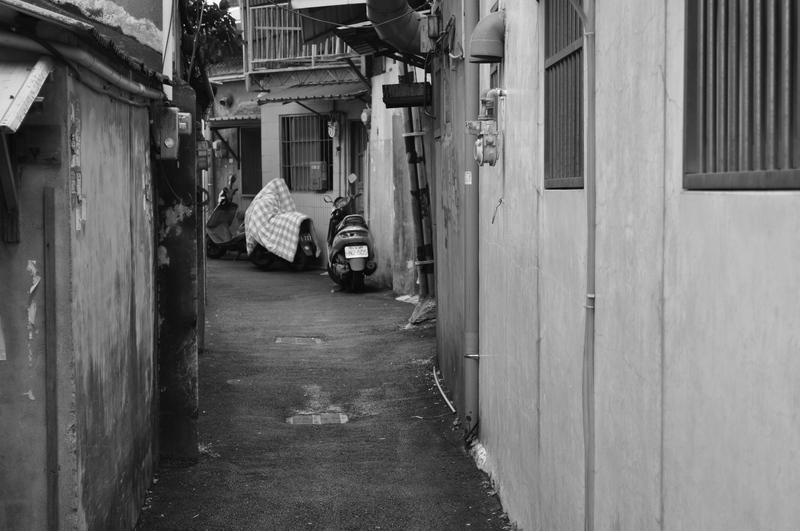 My favorites are in Lugang and Tainan – two really interesting old cities to get lost in. 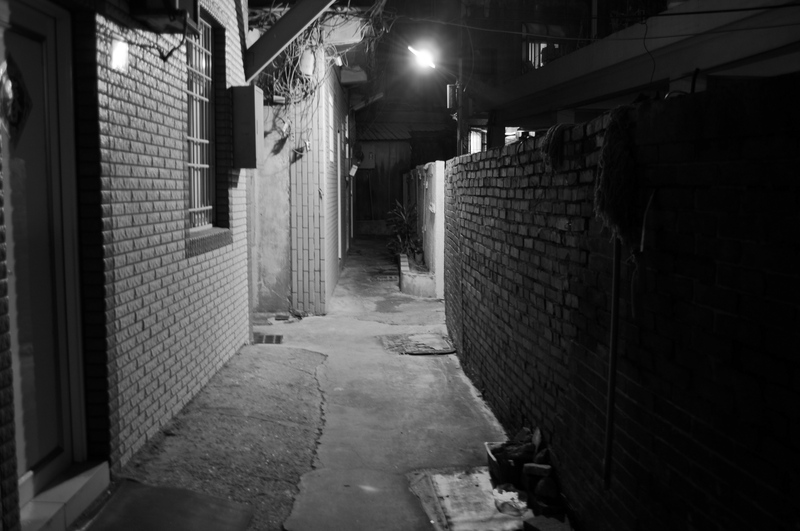 I just love shooting alleys, they have a strange mystique about them. 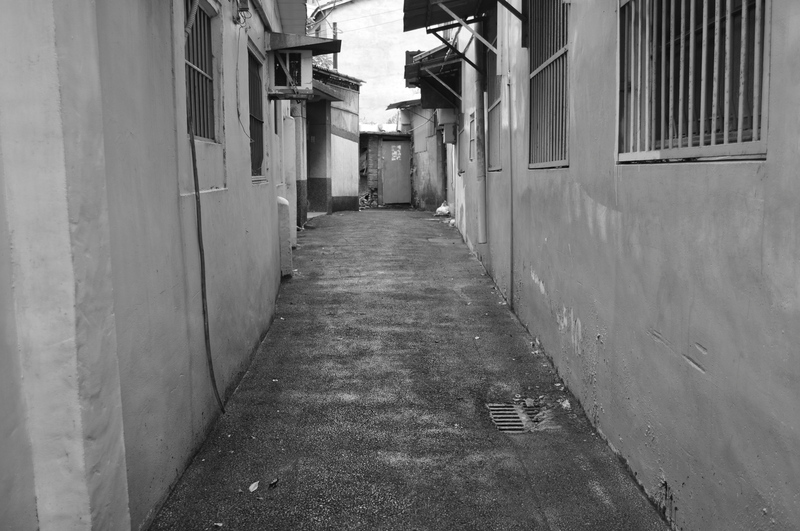 The alleys are so clean. Not a single trash.